Cirque du Soleil Entertainment Group has announced that it is adding family entertainment centers to its portfolio of creative projects. The company has developed an innovative concept of indoor family entertainment experiences specially designed for retail locations. 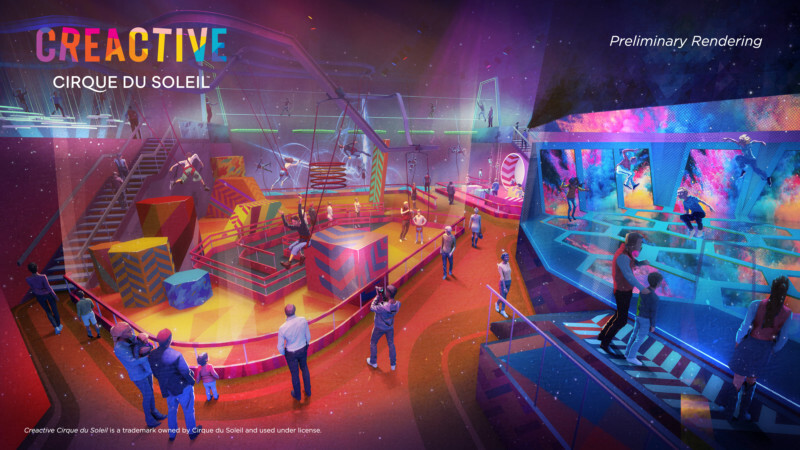 The recreational centers will offer a brand new immersive, creative and participative family experience, where people can stretch their imagination, flex their muscles, explore newfound circus skills, and take a bow on the virtual Cirque du Soleil stage. Building on the success of Club Med CREACTIVE by CIRQUE DU SOLEIL, currently offered at Club Med locations in Punta Cana, Dominican Republic and Opio, France, the new indoor centers will be installed in premium immersive spaces covering approximately 2200 m² (24,000 ft2). CREACTIVE will offer a range of acrobatic, artistic and other Cirque du Soleil-inspired recreational activities, such as bungee jumping, aerial parkour, wire and trampolines, mask design, juggling, circus track activities, dance and more.